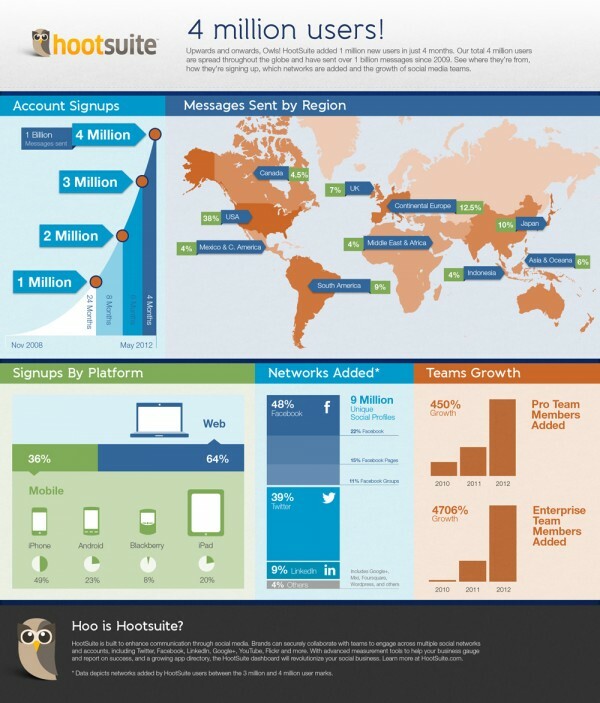 In August 2012, HootSuite reached over 4 million users! Over 1 billion messages have been sent through HootSuite. To commemorate the event we’ve released this infographic to showcase sign-up milestones, regional usage increases via web and mobile devices and team member growth.